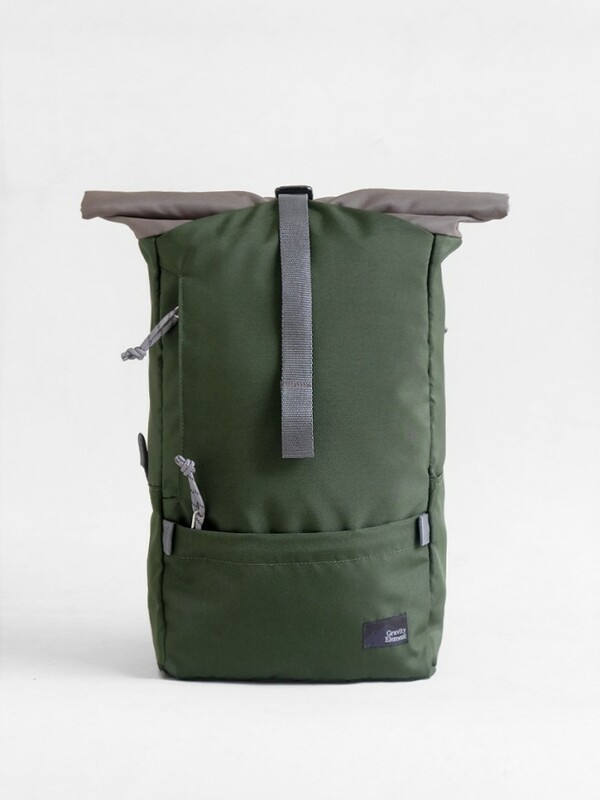 "Rinjani" Backpack is a compact & slim profile bag for your daily commute. Featured with top loading, you can unroll more to store your extra stuff and equipped with side access laptop sleeve with zipper closure. Fabrics: Waterproof coated filament yarn padded with soft-polyfoam, waterproof inner lining, nylon webbing, YKK zipper. Colors: Green & grey body, grey nylon webbing.